Dovetail Games’ Euro Fishing is currently the best fishing game available on Xbox One. But now those same guys have decided to try and take the crown from themselves with their new release, Fishing Sim World. Can this topple Euro Fishing, or will it be left on the bank with a dry net? I grabbed my best bass spinning round and set off to find out. The big change from Euro Fishing is two fold. First of all, lakes in America are now available to fish, so there is not so much emphasis on the Euro aspect of the genre, and secondly the inclusion of predatory fish has the potential to shake up the steady stream of carp and tench that are held. With extra little touches like four different fishing leagues and global leaderboards to take part in, on paper at least, Fishing Sim World is winning so far. To go with the new species of fish, there are new tackleboxes to setup too. Whereas before you could have four tackleboxes filled with whatever you fancy, in the new game there are only three, and they are divided into categories. There is the Bass tacklebox, which is where you’ll find the spinning rods and lures required to tempt a hungry Bass or a big old Pike, a Coarse box which is aimed at the new match style of league, bringing the gear required for tiddler bashing, and last but not least the Carp offering, full of boilies and extreme range rods to enable you to place a bait on the horizon. The routine for earning and unlocking new gear is centred on Tackle Points – or TP – and can be earned by catching fish and levelling up your angler; these points can then be spent on new rods, reels, baits etc. In another new addition, you can now take to the water in a boat, and there are many customisation options for this method of transport. Having geared up, you’ll probably want to check out the new American lakes first of all. For the fish in these lakes we are required to use artificial lures, which have to be cast out, retrieved in an alluring fashion, and then cast again. And again. The lures themselves have various different actions and retrieve styles, and it’s down to you as the angler to impart life to the lure by twitching the rod, reeling in at different speeds, and generally trying to make an inanimate lump of metal and plastic look like a wounded fish. Bites are signalled by the lure outline that is shown on the water changing to a big “!” in true Metal Gear style, and you then have to sweep the rod upwards to set the hook. If you have played Euro Fishing, the movement is the same as the strike that has to be performed if you were float fishing, but if you haven’t, a sharp pull down on the right stick will see your avatar lift the rod and hopefully connect with fish on! Playing the fish hasn’t changed from Dovetail’s previous game, but if the system isn’t broke, then it’s probably best not to change it. The left trigger reels the line in, and there is a line tension indicator that you need to keep a close eye on. If the line gets too tight or too loose the fish will escape, so reeling and moving the rod around will let you manage the tension in the rig. You can also set the drag system on the reel on the fly, so if a strong fish is hooked that wants to run, slackening the drag will let it take line without breaking free. Fighting the fish will eventually see it tire, and you can draw it towards the bank; when the fish is tired, drawing it to the bank or boat will see it magically teleport into your angler’s hands. A nice change from last time around is that the water now seems transparent, so you can actually see what you have hooked if they come close enough. This really helps capture the thrill of fishing, as seeing what’s on the end of the line can make your heart jump into your mouth if it’s a monster. The graphics on the whole are so clear, and the animation of the fish swimming so good, that you can tell what type of carp it is before you lift it out of the water, and this certainly adds to the immersion. On a personal level, the best bit of the change of the fishes behaviour in the water is the kind of “swimmers roll” that tired fish do when they don’t have the energy to swim away. The first time I saw it I was excitedly explaining to my wife that this is what fish do in real life. She wasn’t impressed. Apart from bass and general American fishing, is it business as usual with Fishing Sim World? Well, yes and no. Many European waters now have good heads of Pike, and also the Perch can be caught on lures too. It is more difficult to catch predators on the Euro waters, as when you are driving your boat in America, it’s fitted with a fish finder device, showing the depth of the water and the location of the fish. On the Euro waters, it’s much more about fishing to structures like weedbeds and islands, watching the water and looking for signs of fish moving or splashing. Choosing to fish for Carp and general coarse species rely on these signs too, but you can feed the water to draw the fish in, just like in real fishing. The fishing leagues are an interesting new addition, with different criteria for success. In the Bass league, you fish for a set length of time, before the weight of the five heaviest Bass is recorded. In the Coarse league, you’ll want to worry about the the total number of fish, not the weight, whilst placement in the Predator league is decided upon the combined length of all the predatory fish that you catch. Finally, the Carp league is based on the combined weight of the Carp that you catch. The points that you score in each league are added up, and Dovetail have promised to name an angler as the Global Champion on a monthly basis. Obviously as this is being written before launch, the leaderboards aren’t too populated at the moment, but I can see that competing on a global scale is going to really add some spice to the longevity of the game. 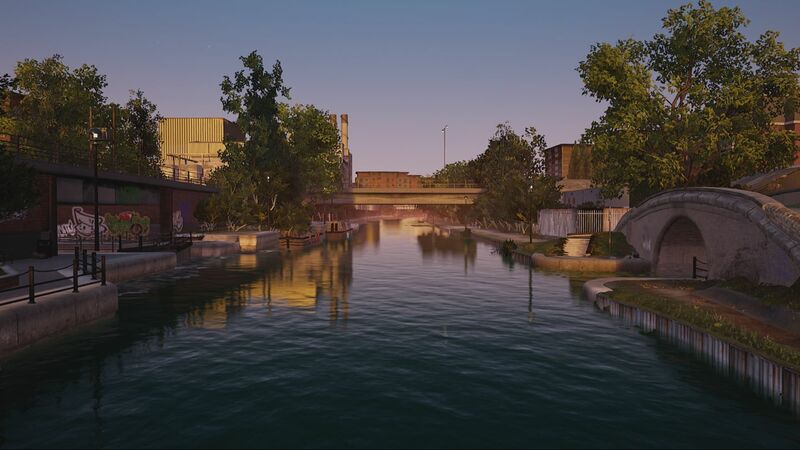 Graphically and the whole fishing experience has had a makeover from the previous release, and the fish on the bank now look much more realistic. Yes, that means no more plastic carp. The water effects are much better, the scenery is still stunning but looks like it’s had a tickle round with the HD duster, and seeing the fish in the water makes a big difference. Sadly, the weird glitches still are present and correct, including the angler model who has the strangest wrist animation I’ve ever seen and fish still managing to swim through solid bank and water obstacles. I had one carp on Waldsee swim around the back of the island, come out the other side and be successfully landed, and at this point reality and immersion went out the window. Similarly, on the new Canal venue, the line appeared to become attached to the back of one of the boats, and the rest of the fight with the fish was played out with with the line going one way, but the fish going another. 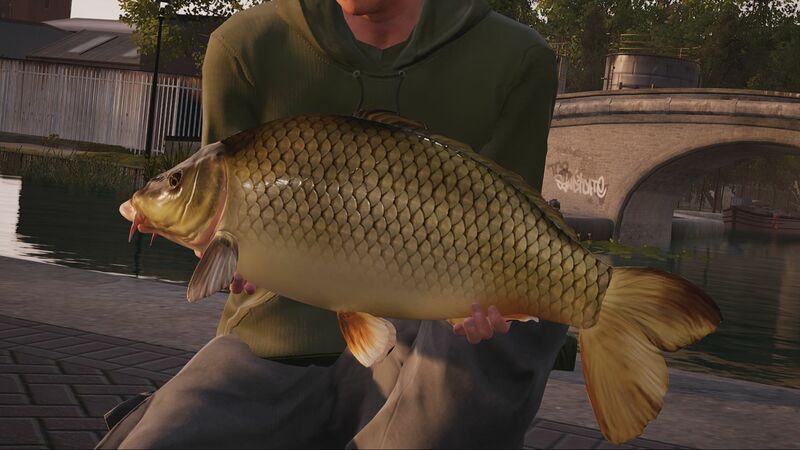 Being an avid real life angler, these things are disappointing as the whole point of the game is for it to be as close to real fishing as possible. Added to glitches where the angler stands on top of the rods (not a good idea in real life, folks! ), to being able to walk straight through them, it just points to a lack of polish on the game. 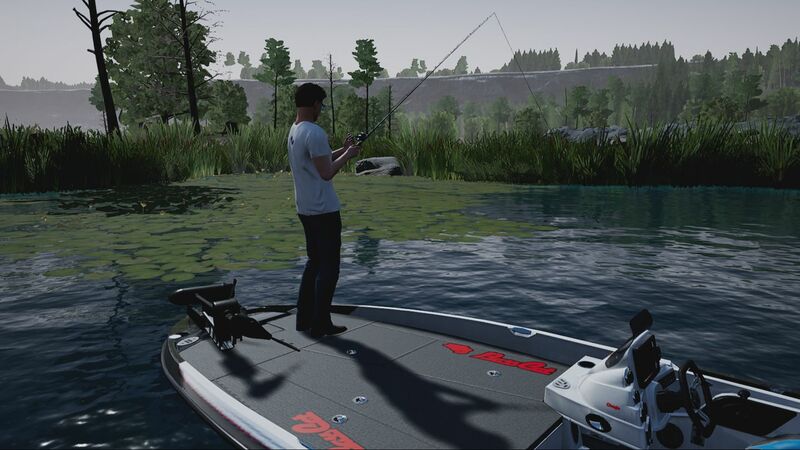 At its heart, Fishing Sim World is a worthy successor to Euro Fishing. It builds on what its predecessor did right, and expands the range of opportunities in a sympathetic way. It’s not perfect, and immersion breaking glitches are disappointing, but all in all, we have a new champion fishing game on the Xbox, mainly because if you can look past the imperfections Fishing Sim World is deep, flexible and a great deal of fun.